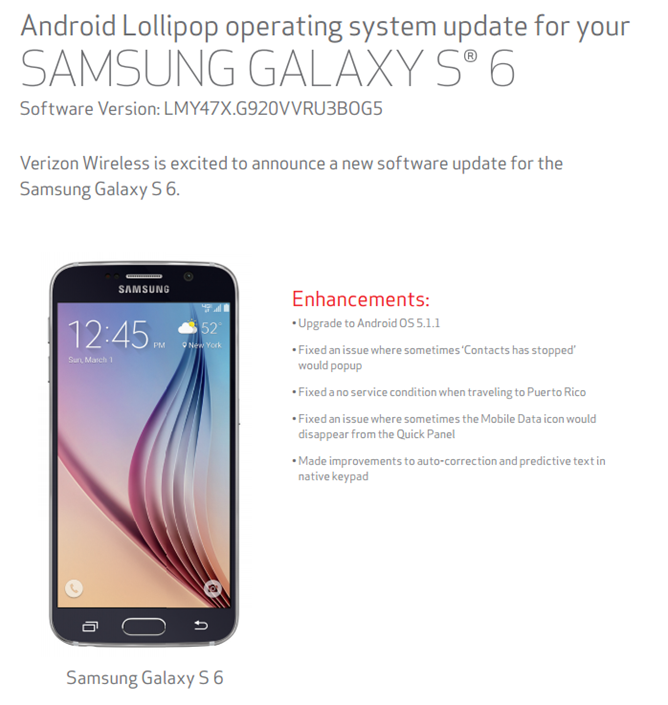 Since their release, the Verizon versions of Samsung's 2015 flagships (well, the smaller ones anyway) have been given only a couple of minor service updates. 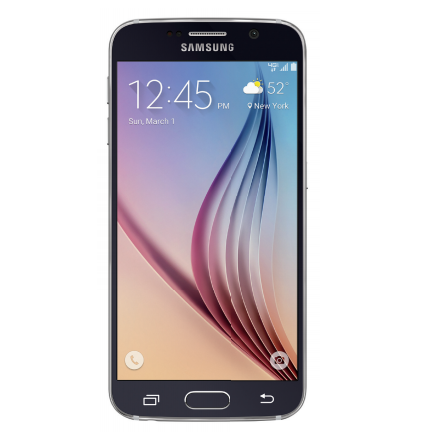 That changes today, at least according to the carrier's support site: both the Galaxy S6 and its curvy brother the S6 Edge are getting bumped from Android 5.0, which they've been running since launch, to 5.1.1, the latest official release. The software version is LMY47X.G920VVRU3BOG5 for both phones. Aside from the bump to 5.1.1 and the minor improvements to Lollipop that come with it, both phones are getting a few bug fixes. The Contacts app is now a little less crash-prone, roaming to Puerto Rico has been repaired after its initial rollout in late June, the Mobile Data icon is now less likely to disappear, and the stock keyboard's auto-correction and predictive text have been improved. Visually, the Samsung home screen now has the ability to turn off the parallax effect, and users can select a live wallpaper specifically for the lockscreen. The phone's default camera now has an option to adjust digital exposure, and Chinese Mandarin Phonetic Symbols and Cangjie are now available as language options. You know how this goes: expect the updates to trickle out over the next week or so as Verizon sends it to new batches of customers. We don't know how large the update files are, but since carriers generally insist on a Wi-Fi connection to download updates anyway, that shouldn't be problem.